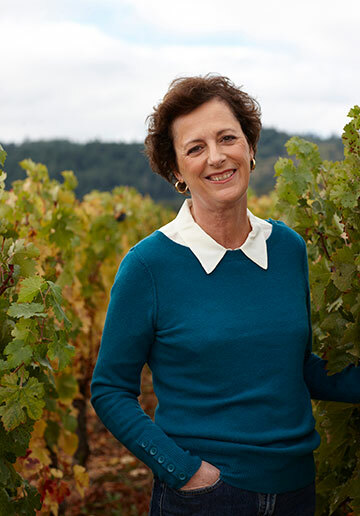 Genevieve believes in the symbiosis of the earth, vines and people. I first joined Robert Mondavi Winery in 1978 as an enologist. After exploring and consulting in California wine country for the next decade, I returned to my Robert Mondavi roots in 1989 to become Director of Production at Opus One Winery and came back full circle in 1997 to become Director of Winemaking at Robert Mondavi Winery. I was born in Morocco and raised in France, so my formal wine education began under the tutelage of the legendary “three fathers” of modern enology—Jean Ribereau-Gayon; his son, Pascal Ribereau-Gayon; and Emile Peynaud—with whom I studied at the University of Bordeaux, France. After receiving my National Diploma of Enology in 1974, I returned to my family’s vineyards in Corsica and France, operated an enology laboratory in Provence and served as a consulting enologist to many French chateaux in the mid-1970s. I was drawn to Robert Mondavi’s philosophy in winemaking and winegrowing, which caused me to move to California! I recognized in Robert Mondavi my own father’s holistic approach to quality. It starts with the earth, the legacy of what we have received from our ancestors and what we are going to leave for the future generation. We must work to maintain the land, to grow so that we all live in symbiosis - the earth, the vines, the people. Care creates quality. Teamwork, walking vineyards, making delicious wines. Understanding the vintage while at harvest. Our environmentally friendly practices include conserving soils and water, managing pests, and recycling water and materials. At the age of 53, with little money but full of energy and vision, Robert Mondavi changed the course of the U.S. wine industry. Realizing a long-held dream—to create excellent Napa Valley wines that would stand in the company of the great wines of the world—he founded the iconic Robert Mondavi Winery in 1966, opening the door to the future of American fine wine. I enjoy cooking. But I can never make the same thing twice. I have a spontaneous imagination—if you liked the dish, I’m glad, but you’ll never taste it again! Mr. Mondavi, Victor Hugo and Bob Marley.